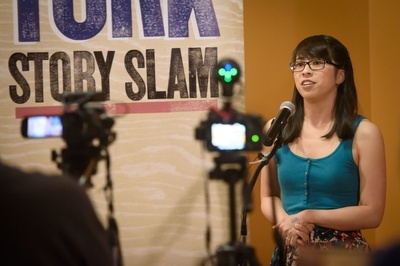 Monthly Story Slam event with a different theme each month. 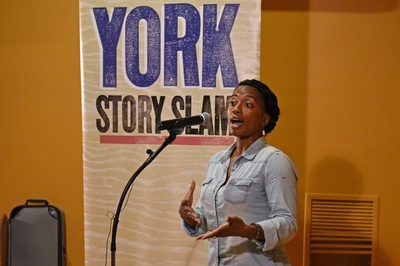 York Story Slam is a monthly gathering where anyone can take a turn at the microphone and tell a true story based on that month’s theme. 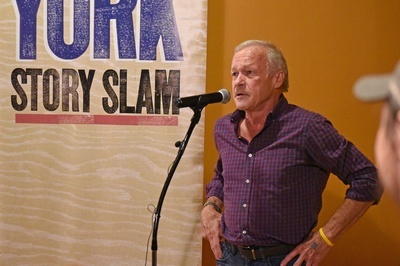 Each storyteller is given scores based on content and presentation. 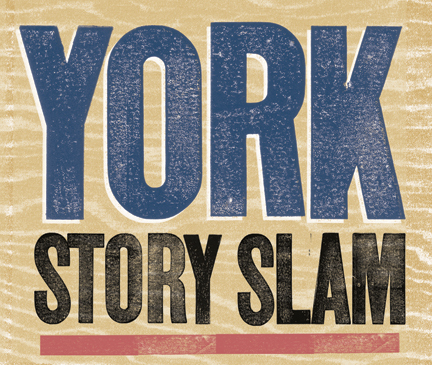 The storyteller with the top score at each event wins an exclusive York Story Slam journal set from Story Supply Co. and earns a spot in the Grand Slam event at the end of the season, when all the winners from that year return to vie for the title of York’s Best Storyteller. 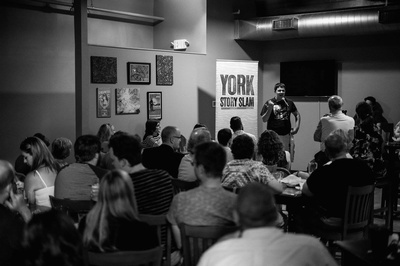 York Story Slam is held the third Tuesday of each month at Holy Hound Taproom in York, PA. All events begin at 7 p.m. We recommend coming downtown early for dinner and drinks. Tickets for each event go on sale the day after the previous month's event. 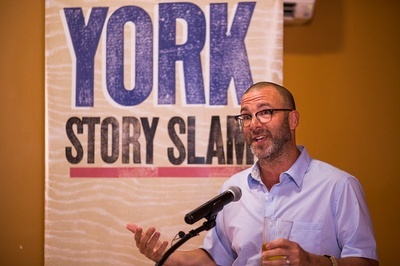 Tickets and additional information at yorkstoryslam.com. Tickets are $8 when purchased in advance. Online ticket sales end at noon on the day of the event. If any tickets remain, they will be available at the door for $10.